The story of three Surrey schoolmates; Tom Chaplin (Singer), Tim Rice-Oxley (Piano) and Richard Hughes (Drums) told by an ardent follower takes us through their breaking America tour, attempting to chip away at the walls of ignorance surrounding this tight knit guitar free trio. 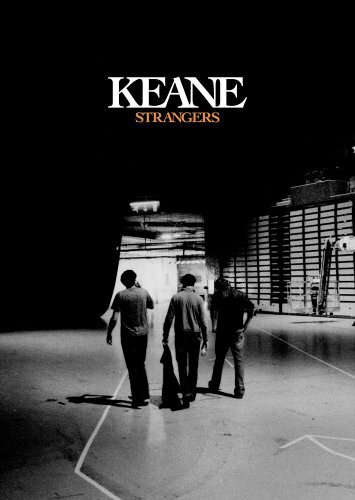 The choice of having a fan; Ed Roe who has followed Keane from the early days narrating, does at first seem to mean that objectivity has been sacrificed, but he was not afraid to poke his camera around at some of the more personal moments, much to the chagrin of Richard at one point. A striking aspect of the documentary is the openness of Tim Rice-Oxley, whose perfectionist nature and general shyness has led certain branches of the media to conclude that he is surly and inaccessible. He provided an insight into the band’s formation and spoke openly about the loss of former guitarist; Dom Scott that sparked their switch to a swirling keyboard fuelled sound. The term musical differences seemed to summarize this split, but Tim spoke without regret and seemed genuinely to care and have respect for the former member. Tim treats us to a glimpse of a song in progress; ‘The Frog Prince’ possessing a more laid back and dreamier keyboard riff that will certainly spark interest in the looming second album. Tom Chaplin’s musical prowess is also exposed with revealing footage of him on lead guitar at their early gigs that sees Keane resembling a U.S. High School band. This highlights their slow and almost painful evolution, as each member looks back and reflects success and the journey towards it. Drummer Richard provides an insight into his and Tim’s decision to allow Tom Chaplin into the fold, as piece by piece this fascinating jigsaw is put together. We also see a glimpse of the future, as Tom himself dabbles with a keyboard and gives a sneak preview of a soothing melody he has compiled, thus implying that he may do more than sing on future offerings. The soap opera moment of the DVD comes with footage of a rain-soaked Atlanta Georgia gig, whereby, Tim stomped off stage while Tom and Richard received the accolades at the end. Ed caught up with Tim who was approachable, but did not really have anything to say. This IS the first impression you get that the band were not totally happy with matters. Things pick up when footage of their Brit Award winning moment is displayed and all three members emitted cheeky grins, as though this was a defining moment in their rise. With the DVD flitting between early 1998 four piece live footage and 2005’s victory trot around the U.S. you do only seem to get a truncated picture of the rise to fame in the U.K. Their autumn 2004 tour that represented the placing of the flag on their conquered territory is seldom referred to. However, this is a true documentary that opens up a fascinating and retiring three piece, to reveal their tightness and enthusiasm and will certainly help them to maintain their current momentum.